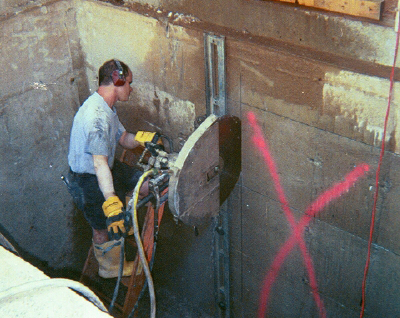 Wall Sawing is the process of cutting openings such as doors or windows in concrete walls and foundations, usually no more than 16″ thick but in some cases up to 36″ thick. 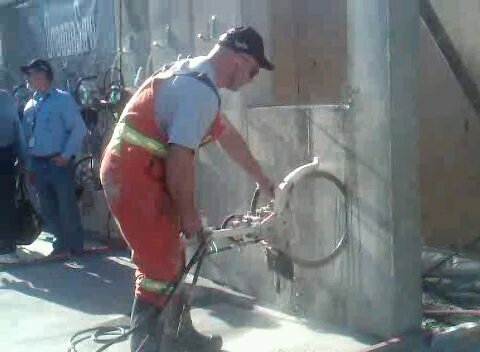 This is accomplished by using a saw that attaches to a track on the wall to be cut. 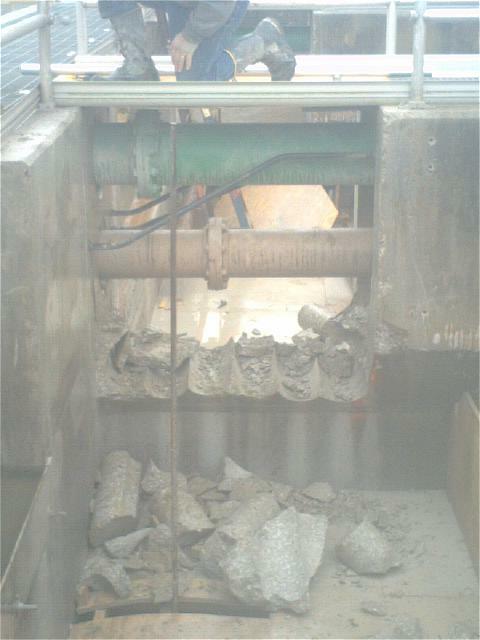 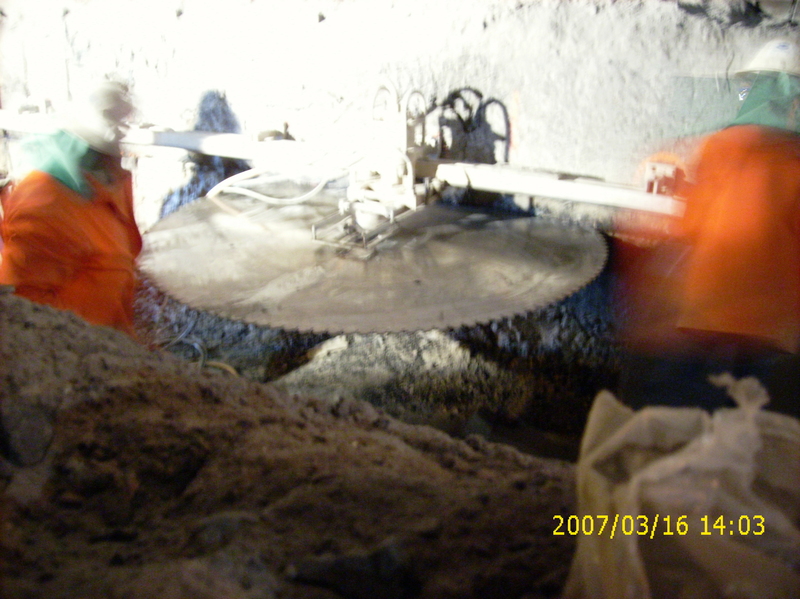 This process utilizes a 24″ to 84″ diameter diamond blade that can cut from one side. 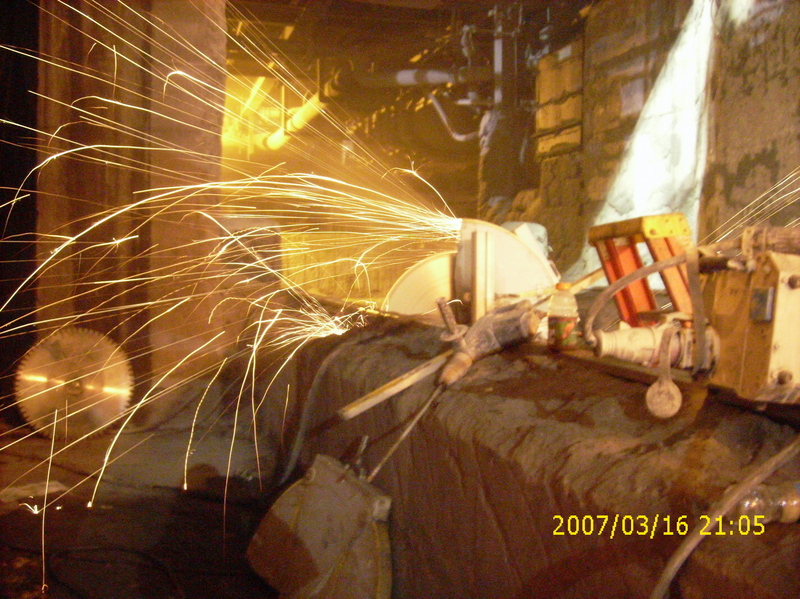 This aspect of our business requires the most skill and cannot easily be done by your average layman. 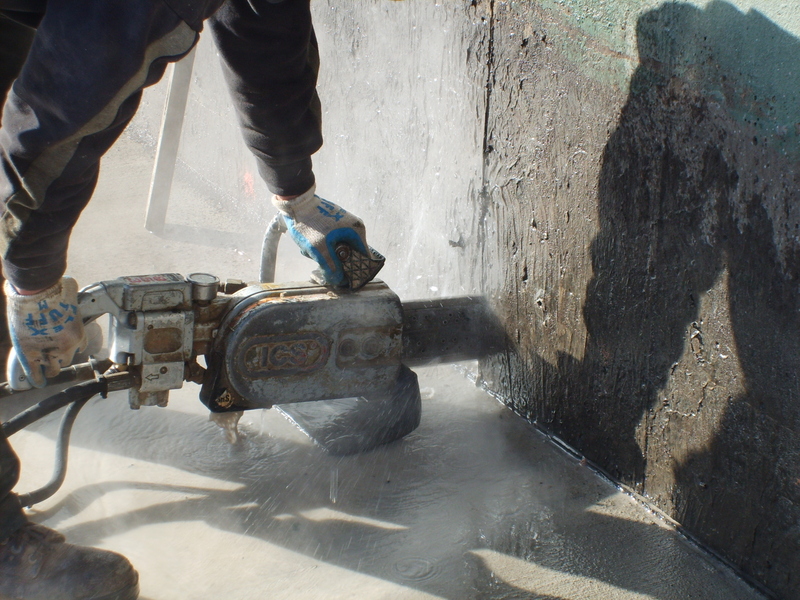 As stated, wall sawing may entail cutting openings in concrete foundations but may also include lowering a foundation elevation, entire foundation removal and also the cutting of concrete retaining walls in part or in whole. 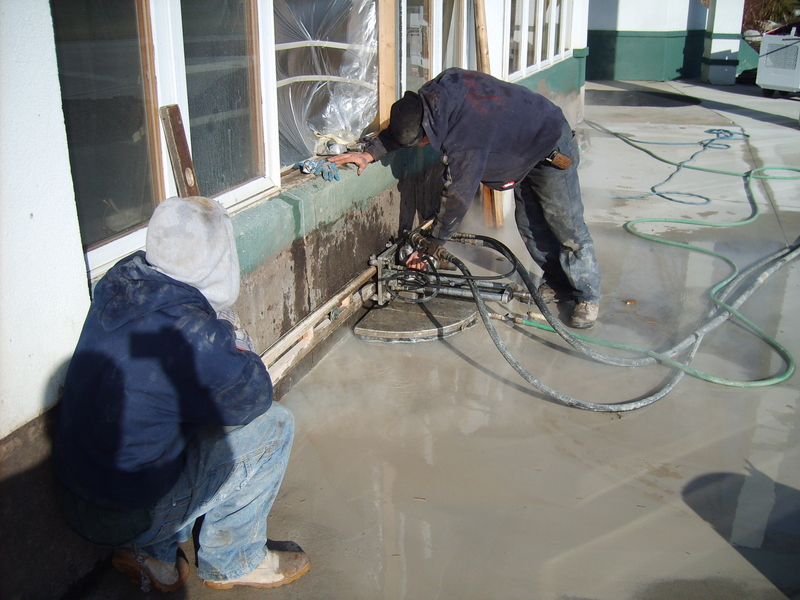 This type of concrete cutting requires skill and experience to cut perfectly smooth plumb and level openings with virtually no dust or mess. 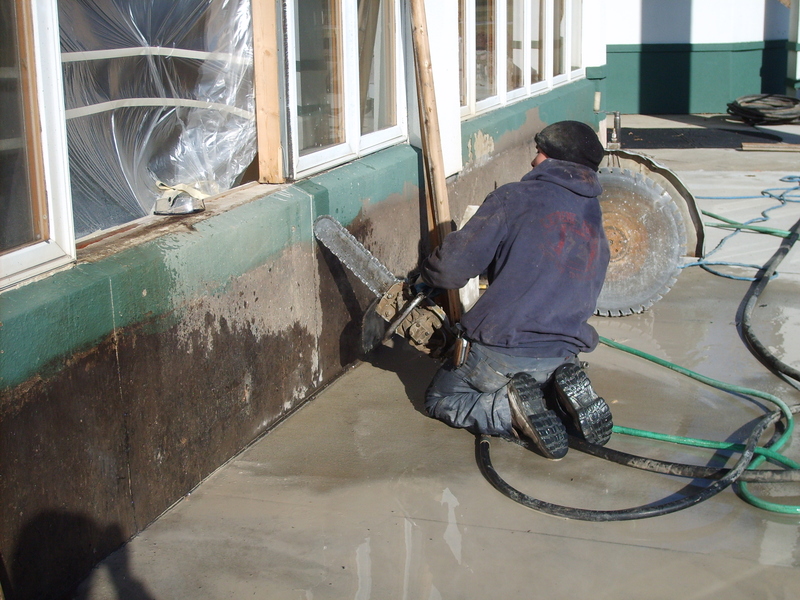 It is a rather expensive service however, it is a bargain for the work that is possible in a short amount of time.